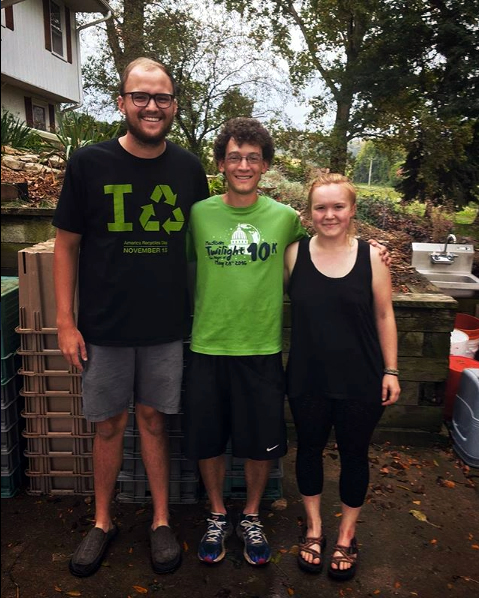 An internship at Earth Dance Farm is an opportunity to learn firsthand what is involved in the operation of a small, sustainable produce farm. We work hard, have fun, and eat well. Our goal is to produce beautiful, highly nutritious, clean food for local families and build up the quality of the soil at the same time. An intern provides the farmer with the needed help and partnership to do the work and the farmer provides knowledge, insight and the opportunity to learn experientially. The work day begins at 7 a.m. and ends at 5 p.m. with a one hour noon break. At times the day may run longer depending on the situation at hand. Weekends are usually free with an occasional ½ day on Sat. when necessary. A work week will normally not exceed 50 hours. 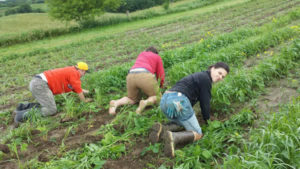 Work may include greenhouse production, field transplanting and planting, weeding by hand, tool and machine, irrigation, trellising, harvesting, washing and packing produce for our 200 member CSA. There are many hours spent on our hands and knees in the field under whatever weather that day offers us. 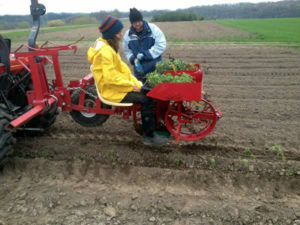 There are also other farm tasks like gathering eggs, putting up hay, and maintenance projects that can add to the totality of the experience. There is a bunkhouse with electricity and heat, plus a camper, for sleeping accommodations. We also have two “Tiny Houses” under construction for individual sleeping quarters. Interns have their own kitchen, bathroom and shower in the basement of our home. Interns are responsible for their own breakfast, lunch and weekend meals. Garden produce, eggs and honey from the farm are open to everyone. In the evening we have a shared meal in our home with everyone taking turns to plan and make one meal each week. While we love animals, no pets are allowed during your time here. For the 2019 season we have 3 full time positions available (April – November) and 2 summer positions (May – August). Farming experience is not required, but is very helpful. It is hard physical work under all sorts of weather conditions. Being fit and enjoying hard work is a must. Since we work, eat and live together, it is very important to have the skills to communicate well, reconcile conflict, and take direction. A positive attitude, good sense of humor, motivation, enthusiasm, and a strong desire to learn are all very helpful attributes. Compensation is in the form of a monthly stipend. Pay is based on experience and length of commitment and starts at $750/mo. Please email Norm.The.Farmer@gmail.com/a> to request an internship application.